Transparency in accounting and having an efficient tax plan is the immediate need of the hour. Understanding the financial need of the companies, DNS Accountants has been providing all round services to the people who are on the lookout for accountants who would help them planning their finances along with providing them with a proper tax plan. Starting from 2005, right after the company’s initiation, the clientele has grown to over 1200 in the last few years. 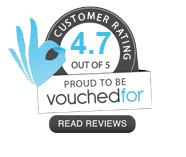 Years of experience and proficiency in the task of bookkeeping has helped us in becoming the most favored contractor accountants in Bournemouth and other places including Liverpool, Coventry, Luton, Norwich, Nottingham, and Maidenhead across the length and breadth of the country. Lending a helping hand to the clients, we have been able to create a distinct name for ourselves in the industry. DNS Accountants specializes in all forms of accounting services which include tax investigation cover, tax advice and also in providing online accountants in Bournemouth. The professional team of experts at DNS is fully equipped with individuals who have degrees from reputed institutions and certifications from major accounting bodies. Apart from this, our team members also have advanced certifications from some of the professional accounting bodies like IPSE, CIMA, and ACCA. Personnel on each support team are handpicked by DNS to avoid any kind of hassle in the system. Right from inception, DNS has been working towards saving client’s hard earned money at every opportunity that is provided to the company. We believe that money saved is money earned and would help the client company to plan its future in the market. Our foresight and timely services that we currently offer to our customers have helped them in avoiding embarrassing situations that they have to face with the HMRC if they are made to pay the penalty for late tax returns or some accounting errors. A large coastal resort town in the south coast of England, Bournemouth is considered to be the biggest settlement in Dorset. Filled with notable Victorian architecture, Bournemouth owes its growth and popularity to the resorts and spas that are found in abundance in the town. Home to the Bournemouth International Centre, this city is also the business center for all the nearby areas. The development of the railway system in 1870 saw the arrival of the tourists from the other regions during the summer. Till date, the service sector has become the largest source of income for Bournemouth. Companies that dealt in the business and the public service sectors in Bournemouth have been enjoying stupendous growth for a few decades now. These two areas have become the largest employers in the region. Shopping malls and entertainment places have been the highest grossing industries in Bournemouth. 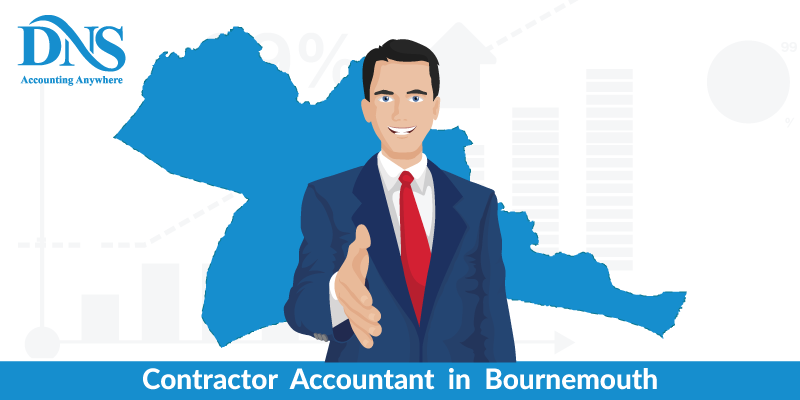 Having such diverse business scene, the need for skilled tax accountants in Bournemouth has also grown significantly. How DNS Accountants helps out? Every company requires a sound tax plan and professional guidance when it comes to planning the year end taxes. The tax returns are to be given prime importance if the enterprise wishes to do business in the country or wants to create a name for itself in the market. Each business has its own set of intricacies and complications that may not be explicit to others. DNS understands the need for each company and our Tax Accountants prepare an efficient tax plan for the companies depending upon the nature of their business. This differentiated approach to the tax planning helps us to understand the financial needs of the client and thereby acts as a guide when we work to minimize their tax liabilities. Our expert tax accountants in Bournemouth provide comprehensive tax planning that works for all sections of an organization. Apart from this, DNS creates perfect synchronization between the finances of the individual as well as the whole company, to avoid any hassles when the tax returns are to be filed. This particular methodology of ours has helped us to provide valuable advice to business start-ups, entrepreneurs and small businesses in Bournemouth. It is imperative for a business to keep a tab on its expenses and income to stay viable and plan future strategies. Our expertise as Chartered Accountants in Bournemouth has helped us to become trusted advisors to several start-ups, entrepreneurs, and companies. Our learned small business accountants in Bournemouth provide comprehensive services for our client businesses. Through our guidance, we have been able to add immense value to our client’s firm. Our team’s dedication to the work and technical know-how on the subject matter gives them an edge over others. DNS makes sure to prepare timely tax reports for the companies. These detailed reports on the sector that the business specializes in helps the company to have an in-depth analysis of the other businesses in the market. Our auditing and secretarial services help the companies to plan their finances well ahead of time and monitor their progress. Every workplace or business firm is required to register and provide a Qualifying Workplace Pension Scheme for all its employees. It is the responsibility of the company to provide a part of the employee’s pension. Enrolling themselves with this service helps in accurate calculation of the pension amount for the employer and the employee. Services of DNS ensure that the company’s payroll is maintained properly so that the business does not have to face any kind of problems with the Government. Business start-ups and entrepreneurs are on the lookout for methods by which they can expand their business. DNS provides the right source and a platform for the companies to perform well in their sector for their growth. This assistance includes planning the expense and profits, planning tax returns and minimizing the liability at every point. All the accounting requirements for businesses are taken care of by DNS Accountants. Not only Bournemouth, but we also provide our services in other areas like Poole, Totton, Salisbury, Portsmouth, Southampton and Ryde. Through our years of service in the field, we have been able to gather a lot of experience and knowledge. Having been able to provide the IT accountants in Bournemouth , we have been able to expand our expertise to all areas of finance and accounting.